Neanderthals, our ancient cousins whose DNA is still found in traces in modern humans, faded away in Europe about 10,000 years earlier than scientists once thought, according to a new study by researchers at Oxford. Using an improved method for radiocarbon dating, the researchers took samples from about 200 artifacts found at 40 Neanderthal cave sites across Europe. The tests determined that Neanderthals likely disappeared around 40,000 years ago, or earlier than previously thought. The new timeline also indicates that Neanderthals and anatomically modern humans coexisted in neighboring communities throughout Europe for as long as 5,000 years. That gave them plenty of time to intermix. While there is not yet evidence of Neanderthals and modern humans living in integrated societies, they do appear to have exchanged more than just artifacts. From one percent to four percent of the DNA in modern humans originated from Neanderthals. 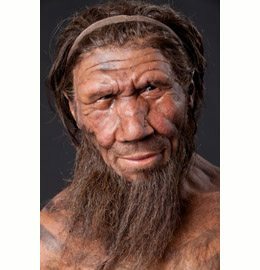 The timeline shows that Neanderthals and modern humans had ample time to interbreed, and even if this happened rarely, it happened enough to explain the traces of Neanderthal DNA found in modern humans. The timeline also indicates that Neanderthals did not suddenly die off, but appear to have slowly faded away and were likely overwhelmed by their modern human neighbors who reproduced at a much faster rate. 23andMe customers can find their inner Neanderthal or at least how much Neanderthal DNA they have. Not yet a customer? Visit our store!